Fish is often touted as a healthy food, and for more than a billion people in the developing world, it’s the primary source of protein—but depending on where you live, your fish likely contains whatever your culture dumps into the ocean. 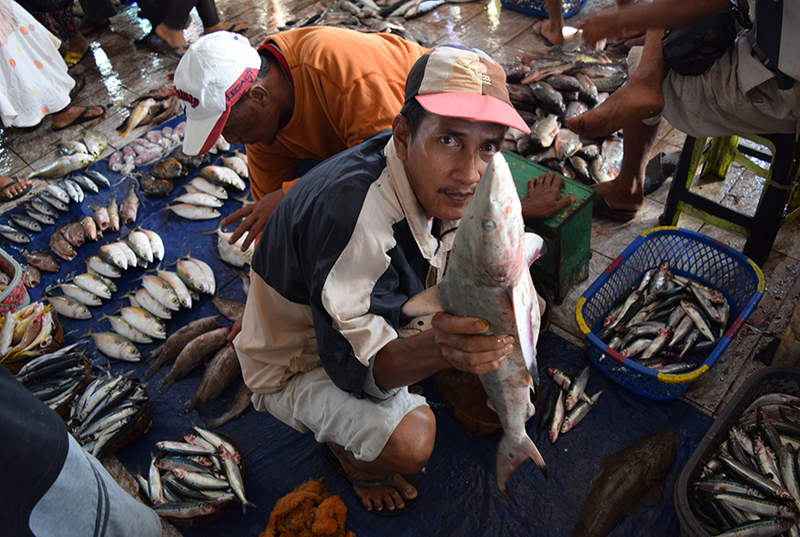 In a recent study published in Nature Science Reports, fish caught off the the coasts of Indonesia and California were found to have plastic (Indonesia, 55 percent of all species) and textile waste (California, 67 percent of all species) in their stomachs. About one third of shellfish sampled were also found to contain these foreign matters. What appears in fish guts is a reflection of wastewater treatment and recycling—or the lack thereof. 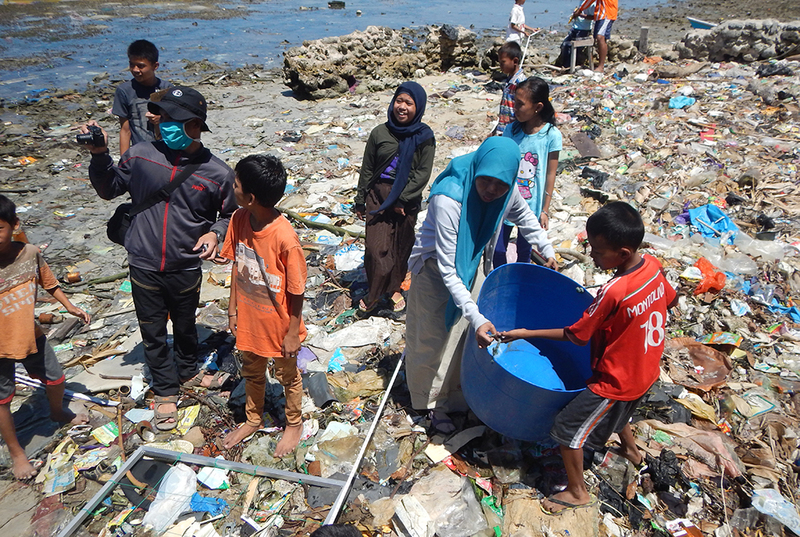 In Indonesia, there's little recycling, so quite a bit of plastic is discarded into the ocean. In the U.S., the fibers in fish bellies are likely to come from millions of clothes washing machines. 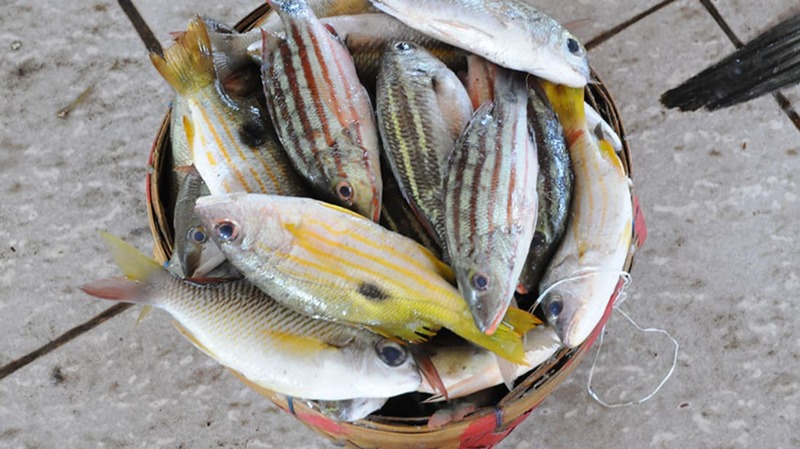 This indigestible material is a problem for both the fish and for us. It's bad for the basic health of the fish, because chemicals in the plastics can bioaccumulate, causing potentially deadly liver toxicity and pathology. When it comes to smaller fish like sardines and anchovies that we eat whole, human consumers are downing those plastics or fibers too. Of even larger concern is that even for fish whose stomachs are removed before consumption, parts of that ocean trash—toxic chemicals—could be passed on to the people who eat them. That’s because plastics break down chemically in seawater, and some become what researchers call microplastics. As they break down, they both release toxic chemicals into the surrounding seawater and absorb chemicals from it. 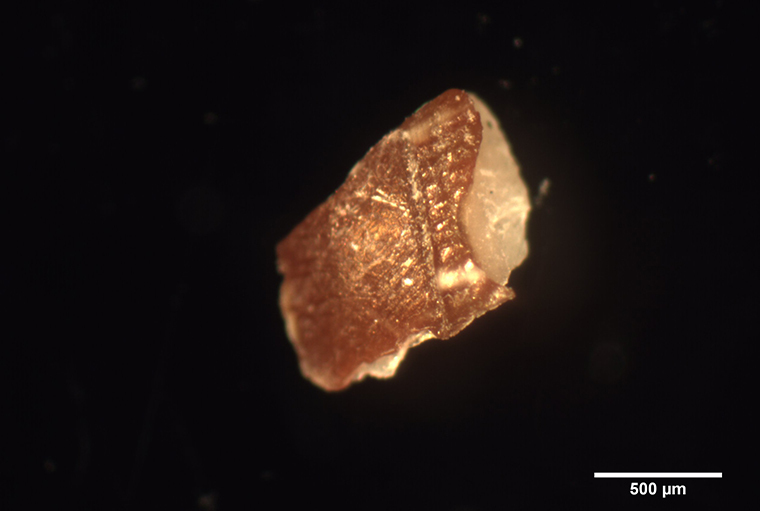 These microplastics then become traveling toxin bundles that leave their chemicals behind in fish flesh. It starts at the bottom of the food chain, with zooplankton eating microplastics, then these tiny noxious particles are passed all the way up the food chain to us. The fix isn’t complicated. Rochman says, “Our study suggests that in the U.S. and other countries where waste management is more developed, we should be thinking about strategies like putting filters on washing machines to prevent the fibers from entering the marine environment." In Indonesia and other developing countries, she says, the focus should be on waste management infrastructure like landfills, recycling, and wastewater treatment plants, as well as incentives like curbside pickup.